This is a section of the blog that I am really excited about. It is where I will invite colleagues, friends and other bloggers to submit a blog entry. It is my hope that this section will allow me to cover a wider array of topics, and allow you to meet some other interesting people and share in their stories and passions. 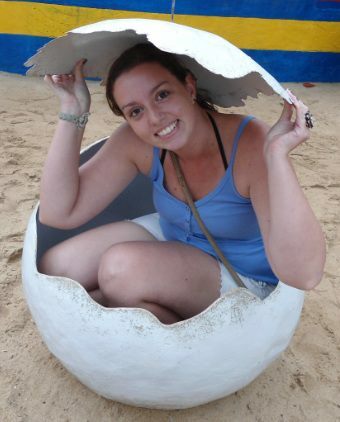 I am very lucky to have a guest blog from a good friend and a great early career scientist from Brazil, Carla Elliff. 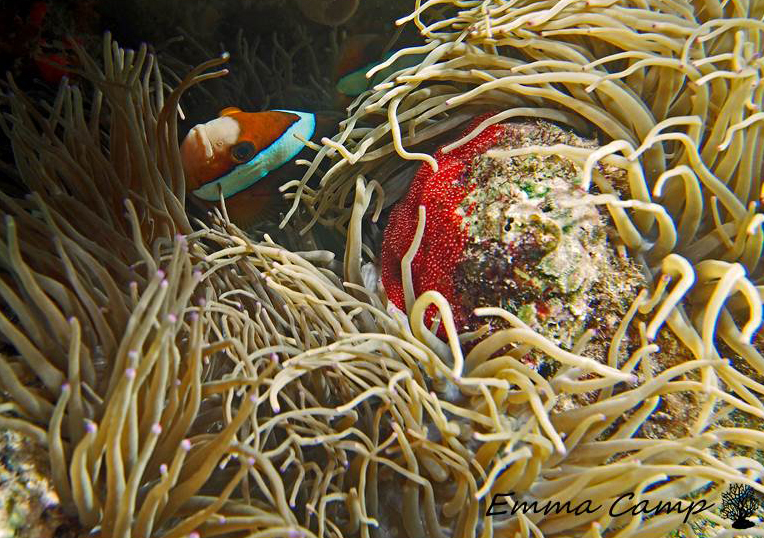 Carla is an oceanographer working with Brazilian coral reefs and the ecosystem services they provide. 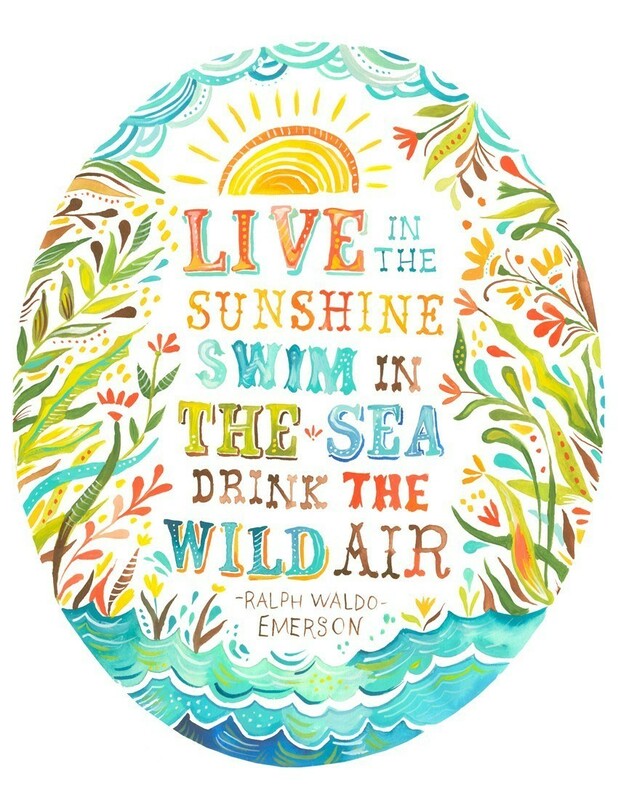 The main goals Carla is striving to reach are to increase ocean conservancy measures, sustainable options and public awareness. People always talk about how unique coral reefs are as an ecosystem, but sometimes we fail to think how different each reef is to each other. This is particularly true when considering Brazilian coral reefs in comparison to other nations. 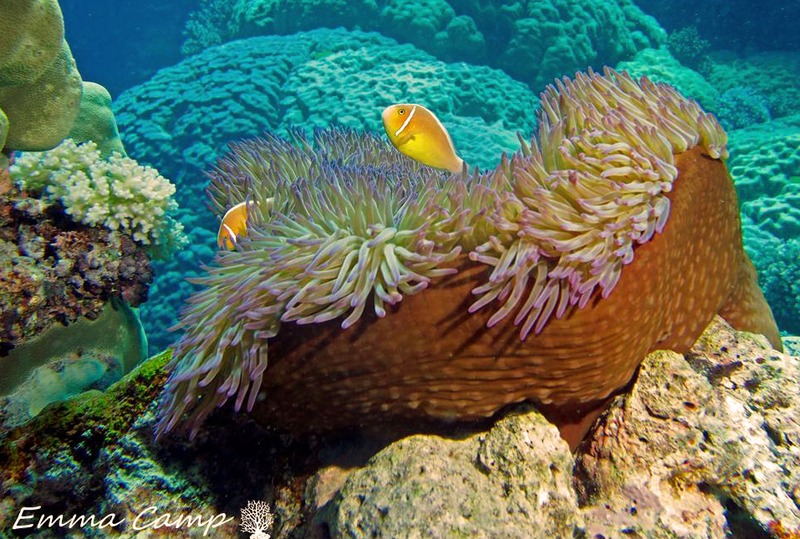 Coral reefs in Brazil have four main traits that set them apart from other reefs around the world. 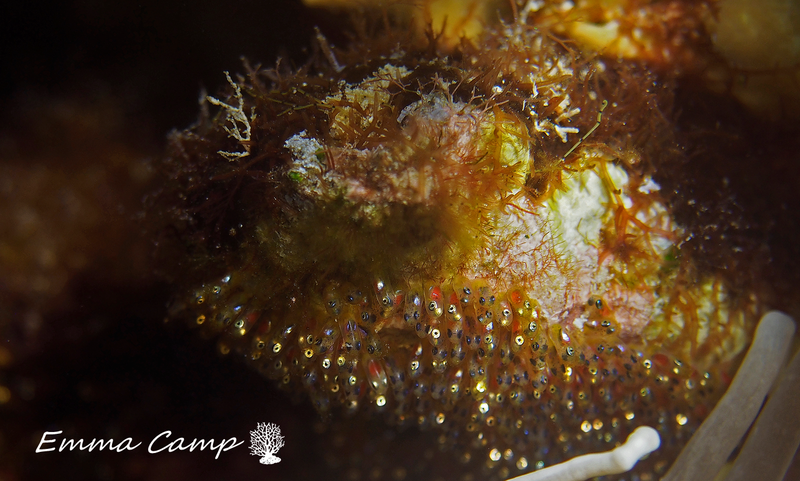 The first are these amazing structures that only occur in the reefs of the Abrolhos bank, called chapeirões. 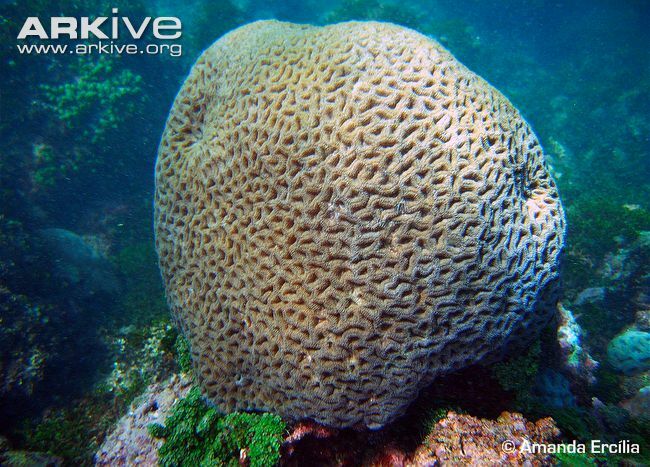 These mushroom-shaped coral pinnacles can reach more than 25 m in height and 50 m in diameter. Why they grow like this and why only in Abrolhos is still quite a mystery. Figure 1. 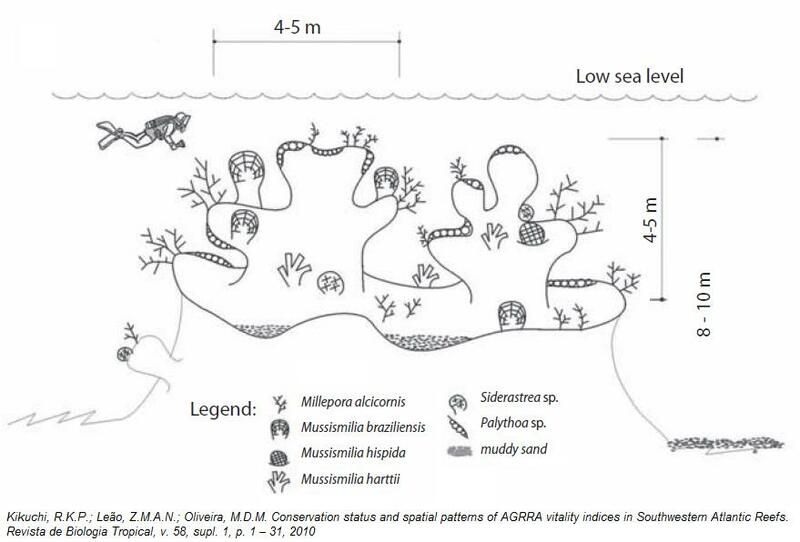 Sketch of a small mushroom reef from the Abrolhos coastal reef arc, which is commonly found surrounding larger bank reefs. 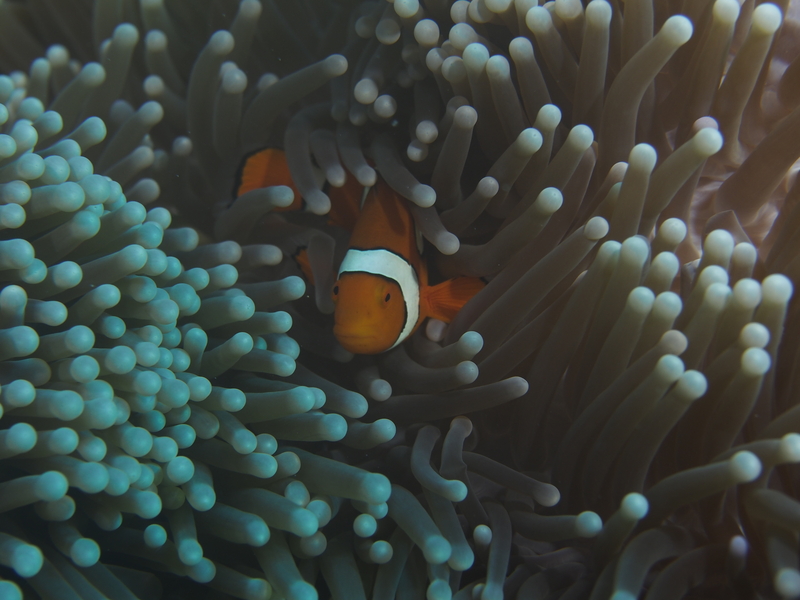 The second is the low diversity and high endemic rates of these reefs. While coral reefs from the Indo-Pacific Ocean sum hundreds of species, in Brazil there are just under 20 species of reef-building corals. But don’t feel bad for the Brazilian reefs! Although there are few species, the major reef builders are endemic, meaning they only occur in Brazilian waters, which is pretty special. Some of these endemic species have affinities to species in the Caribbean, while others are related to Tertiary coral fauna, which means their closest relatives go way back (between 2.6 and 65 million years) and thus earned them the name of archaic species or relic forms. Figure 2. Mussismilia braziliensis, an archaic species endemic to the Brazilian coast. 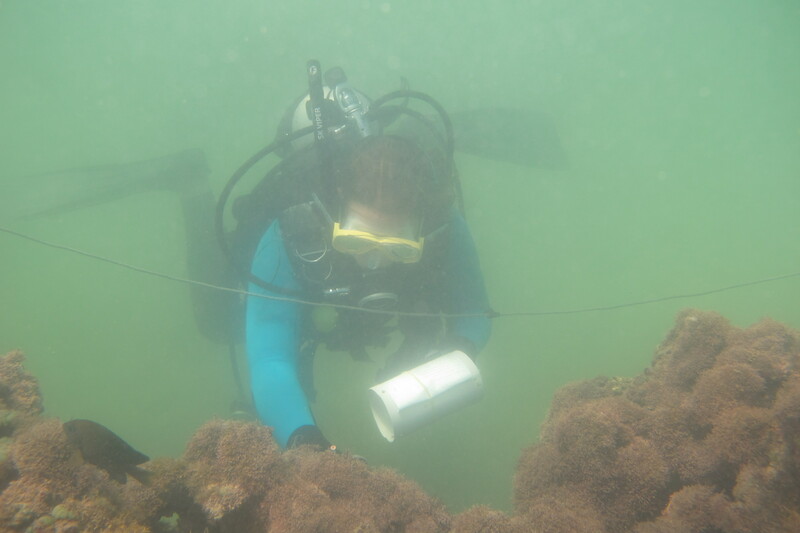 The third trait concerns the important role that incrusting coralline algae has in the construction of the reef structure in Brazil. In fact, the only atoll found in the South Atlantic Ocean, called the Rocas Atoll, is basically composed by crustose algae. 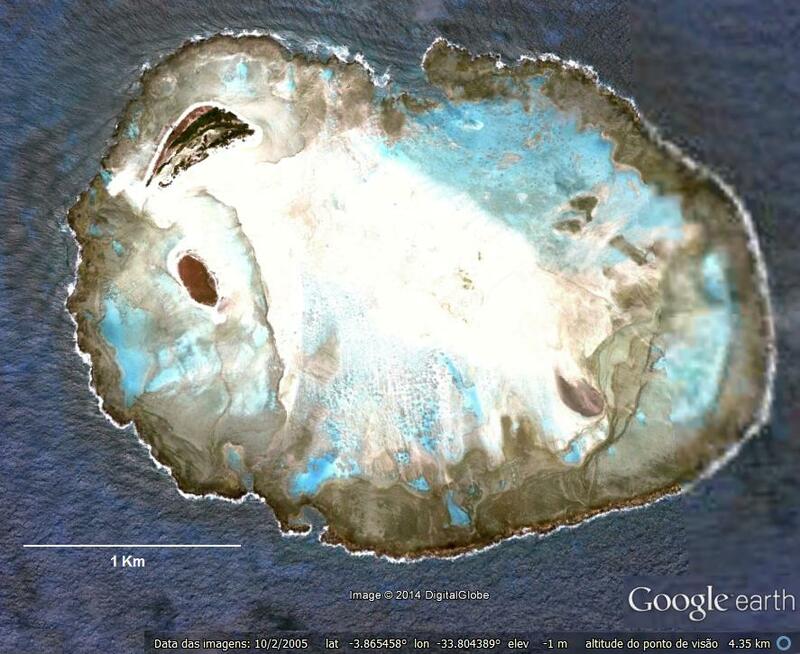 This has raised much discussion regarding the accuracy of considering Rocas an actual atoll. Lastly, unlike most reef systems, in Brazil nearshore bank reefs are surrounded and even filled with muddy sediments from the continent. For most coral species this condition would make the waters uninhabitable, however, remember what I said about the endemic species? These species seem to be particularly sturdy and have developed mechanisms to cope with the higher sedimentation rates that can affect turbidity. Figure 4. 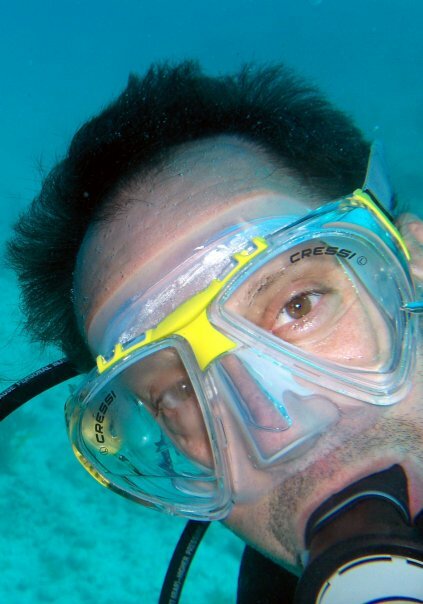 Diving in pea soup at the reef of Boipeba Island, Brazil. Despite these differences, Brazilian reefs also support an immense biodiversity and provide important ecosystem services. 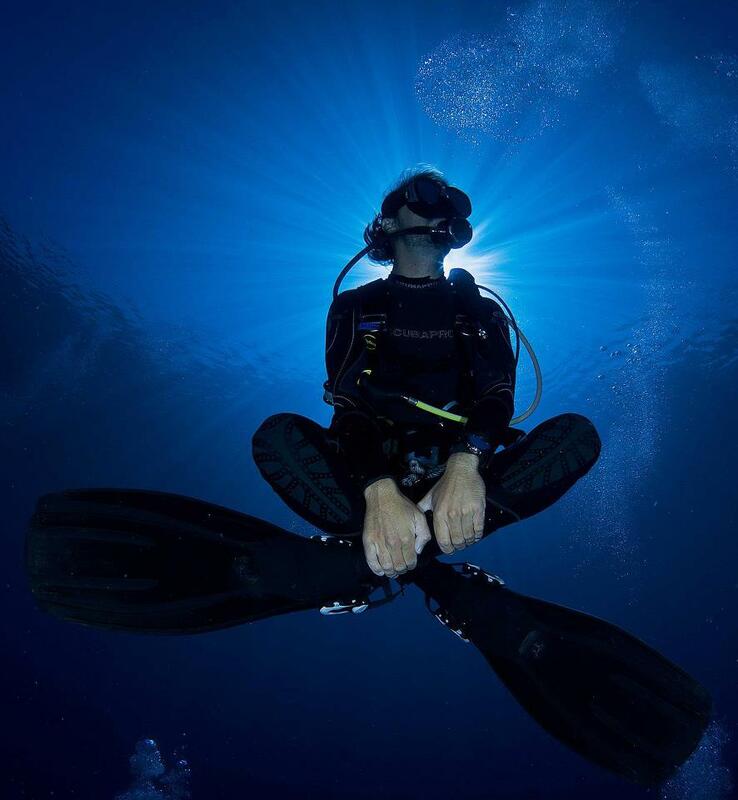 Diving in Brazil is definitely a scuba-lover must! I am so happy to have my first guest blog by a friend and mentor of mine, Joseph Cavanaugh. This blog entry is on the shark finning trade. Joseph is a marine biologist from Florida who is working to protect endangered marine species such as sea turtles, smalltooth sawfish, and right whales in St. Petersburg, Florida. He is currently working on a shark fin project you can read more about on his blog: http://thesharkfinproject.blogspot.com/. The consumption of shark fins, particularly in China, likely began prior to the Ming Dynasty (1368–1644). By the time the ethnic Han Chinese came to power in the Ming Dynasty, shark fin soup became the Haute cuisine at banquets and special occasions such as weddings for royalty. However, sharks and their fins were unlikely to have been targeted or kept once captured by fishers during this era. Historically, there were small-scale shark fisheries that targeted sharks only beginning in the twentieth century for shark leather (West Indies in the 1920’s) and shark liver oil (1930’s on both coasts of the United States). Fishing sharks for shark liver oil grew over a decade prior to World War II primarily to supply vitamin A to the U.S. and shark populations along both coasts were quickly depleted. The interruption of this fishery by World War II and the advent of synthetic vitamin A in the early 1950’s granted a reprieve for shark populations. Today the main driver for shark fisheries worldwide is to supply an ever-growing demand for fins to an emerging middle class in China. Although there is some medicinal and pharmacological value for shark cartilage and other shark liver oil, sharks are primarily fished for their fins alone and these end up in bowls of shark fin soup once again served at banquets and weddings but now affordable to the masses. 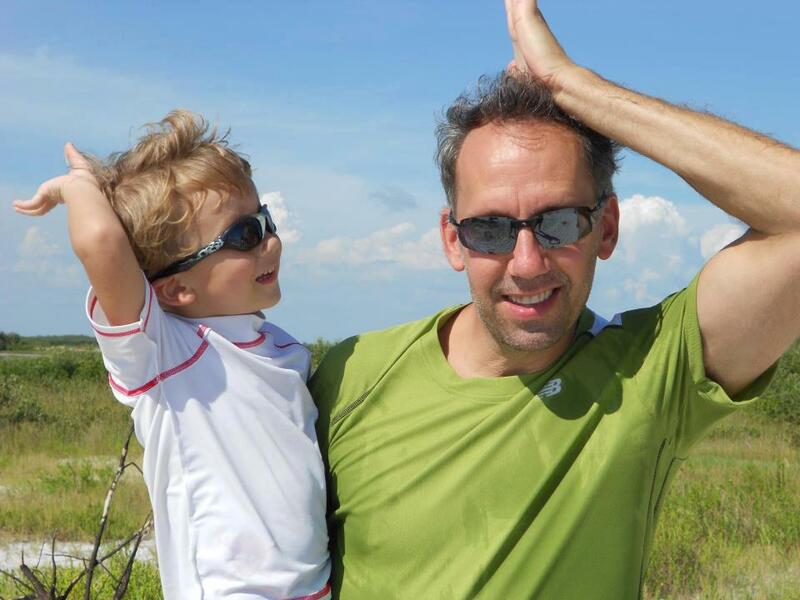 Joe and his son Finn with their fins up! Shark finning is a particularly heinous and destructive method of fishing that involves cutting the fins off sharks and discarding the still-living animals back into the water to die a slow, painful death. Only the fins are utilized and the rest of the shark is wasted. Shark populations worldwide of which there are greater than 350 species, share a special status at the top of the trophic web or what we called the food chain until recently. As is true of most apex predators, sharks are slow to reproduce and when they do, usually produce few offspring. There is no dispute that current fishing practices have depleted many species of sharks to the brink of commercial extinction. 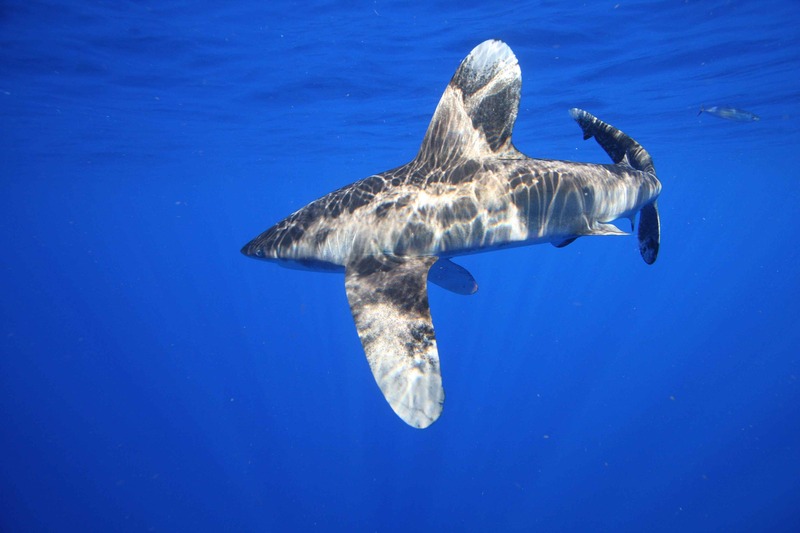 In fact, at this year’s CITES meeting in Bangkok, the oceanic whitetip shark, porbeagle, and three species of hammerheads, and both manta rays, were added to Appendix II protection ensuring that permits for trade in these species are legal and sustainable. It is truly remarkable that in just a few decades after the Movie Jaws vilified sharks there are now a multitude of non-govermental organizations spearheading conservation campaigns for sharks worldwide. In the 1970’s there were hundreds of shark tournaments on the east coast of the United States alone with a myriad of prizes offered including a “most sharks killed” category. There is finally awareness among many nations and their citizens that sharks play a valuable role in our ecosystems. Yet, international laws and enforcement protecting sharks are woefully inadequate in stemming the loss of what is estimated to be more than 100 million sharks a year. The problem is largely one of market forces (supply and demand) and cultural mores that facilitate the demand for fins in China. The Chinese communist government does not demonstrate transparent trade data for shark fins and there are growing crime syndicates that specialize in trafficking fins while international pressure increases on China to stop consuming shark fin soup. This summer I depart to Hong Kong to investigate some of the cultural mores behind the trade in shark fins to better understand the problem and hopefully glean possible solutions. I am convinced that without effective education and outreach campaigns targeting shark fin consumers, there is little hope we can curb finning before many species of sharks are gone in say, five to ten years, conservative estimate. Just as with other unsustainable fisheries such as Bluefin tuna we know that as species become increasingly rare their market value increases to absurd levels, until the supply crashes and species become so rare that it is prohibitively expensive to target those species anymore. Unfortunately for sharks, millions are killed each year as bycatch in long-line and other fisheries, creating a juggernaut for sharks to survive even without the specific shark finning fisheries. If sharks species are to survive and rebound, the cultural mores in China will need to change rapidly. There is a generation of Chinese who grew up dirt poor in the Cultural Revolution (1966-1976) whose children are now getting married and their parents can afford to serve shark fin soup at their weddings. Convincing these parents of alternatives to shark fin soup is an important key component in ending shark finning. There is little time left to change the tide for sharks and already it will take decades for worldwide populations to recover. 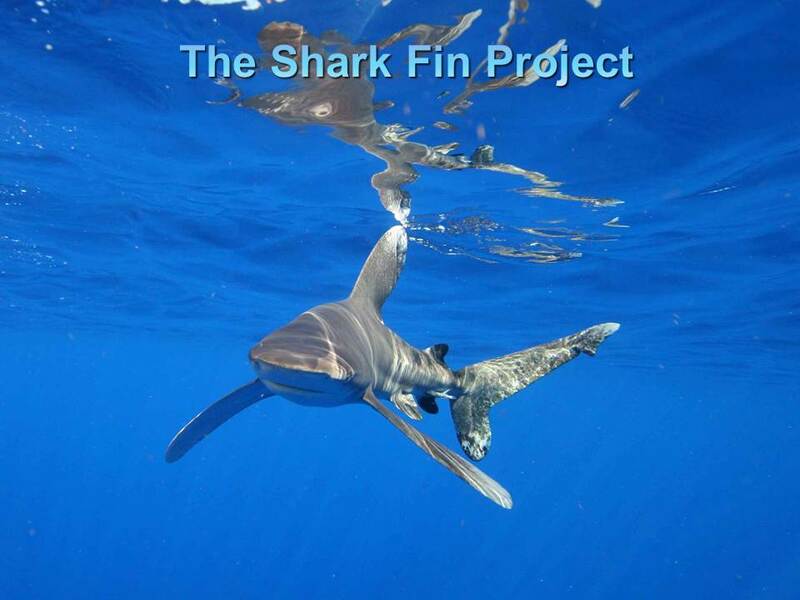 To read more on Josephs efforts against Shark finning please check out his blog: http://thesharkfinproject.blogspot.com/.